This is a little difficult to write, not because Saints lost, but because I was out of the country, and unable to watch the match. When I offered to do this report I didn't know I'd be in Berlin on the day of he game, but there I was, in the German capital as Saints took the field to face Spurs. After a day of walking, walking and more walking (with a few metro rides thrown in), taking in the Olympic stadium, the remaining section of the Berlin Wall, punk rock record shops and the corporate hell that is the Mall of Berlin, we rushed back to the hotel hoping that their Sky channel would be showing the game. B, the wifi finding master, had been able to get connected at some metro station and was able to tell us the team news, and it seemed a pretty good line up. I had a new record from a lovely DIY record shop I'd dragged the others to, and was in good spirits , so I was looking forward to the game. Trains and our aching feet got us back to the hotel just after kick off time, and while I found the TV remote B, who of course had connected to the hotel wifi straight away, announced that Virgil had scored. All seemed to be going well. However, the hotel's Sky channel was showing darts, and a trawl through the 60 odd channels didn't turn up any football at all. The wifi was good, so I tried to get Radio 5Live, BBC London, Solent and Talk Sport on my phone, each time there was a message that the game was not available for contractual reasons. The only thing left to do was follow it on the BBC website's live text. By the time I'd exhausted all options to watch or listen to the game, B had confirmed Spurs' equaliser. The live text said the a deflection had played a part in the goal. From then on the report seemed to just focus on Spurs, all they said about us was that we were dropping deeper and letting Spurs have the ball, they never reported Vertonghen's assault on Rodriguez. Kane scored, and it seemed from the reporting that it was just what Spurs deserved, but I took that with a pinch of salt, knowing that I always seem to be watching a different game than reporters, who never seem to give Saints the credit they deserve. 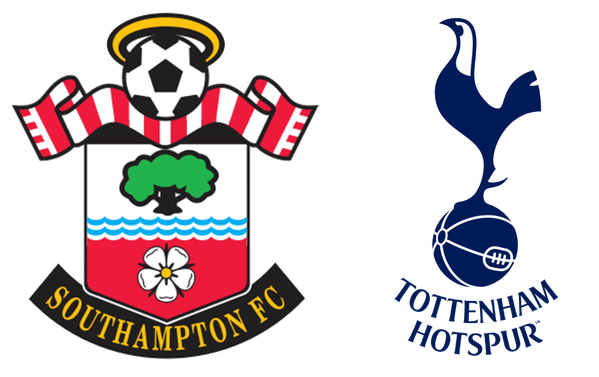 Spurs were the only team playing any football, apparently, and we were not playing like "Southampton usually play." They did report that Wanyama should have been booked for a tackle that didn't even result in a free kick though. The next thing they reported was Spurs being awarded a penalty, although a news flash on my phone mentioned the red card for Redmond first. We assumed the worst and expected them to score, and so cheered loudly when we heard that Kane has skied it. It took a few minutes for reports to come through questioning the award of the penalty; despite the apparent Spurs bias, they were surprised that it had been given, and that the red had been shown. After more negative reporting of Saints, the third and fourth goals were not really a surprise; I knew that it would be difficult for us to come back with ten men against a Pochettino side, but also knew that we would have to give it a go to try and get something out of the game, leaving us vulnerable. This was like following a game using teletext in the days before Sky, the internet and match streaming. The frustrating wait for news, having to interpret what's actually going on and then when the Full Time message popped up, not having "experts" dissecting every aspect of the game and then having to listen to idiots giving up on their team just because a result had gone the wrong way. Instead I was in a room with two people who were able to accept that we won't win every game and that a referee and some bad luck can go against any team (but always us, right?). We looked forward to the next game and watched a Harry Potter film that we found while looking for the footer. Then all three of us gave in to the exhaustion we felt after the miles we'd walked during the day and zonked out. Onwards and upwards and boo to Mike Dean.